Pune based Real Estate Development and Construction player D.S.Kulkarni Developers has come out with a Public Issue of Secured Redeemable Non convertible Debentures (NCD) to raise Rs.200 crores. The Company intends to utilise the proceeds of the NCD issue to fund its New Residential Township project planned on the Pune-Sholapur Road. The issue is for Rs.200 crores. The Face Value of the Debenture is Rs.5000 and the minimum application should be for 5 NCS i.e. Rs.25000/- . 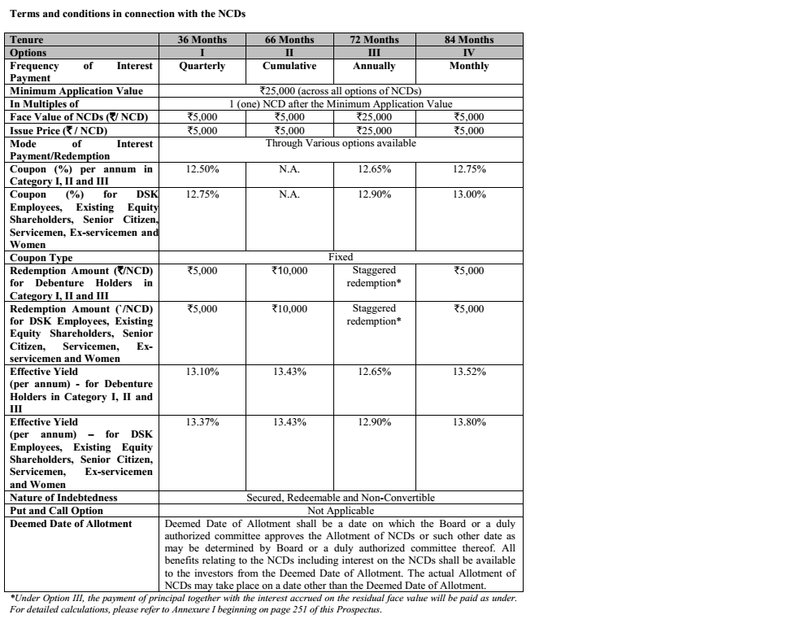 However, there is an option III wherein the Face Value of the NCD is Rs.25000. The Issue opens on 4th of August and closes on 26th August. In the Cumulative Option, the Redemption amount will become exactly double of the Invested amount after 66 months. D.S.Kulkarni Developers Ltd is a Pune based company in the field of Construction and Real Estate Development with proved Track Record. It has been a profit making company right since its inception. It is given that Additional Incentive is given for Senior Citizens, Servicemen, Ex-Servicemen Employees and Shareholders, but D.S.Kulkarni has taken 1 step further and is giving an additional 0.25% to even Women Investors, which is the First for any NCD issue in India! Good social responsibility move by the Company. The Company has also come with a Unique Staggered Repayment Option, only for Option III investors. This could be a good option for those who are looking to pay Fees for Higher Education for their children. There is an option to invest in Physical form as well as Demat form. The issue is rated as BBB+ by CARE. The rating is not great, but for a Real Estate company is good. The rating indicates Moderate Degree of Safety regarding timely servicing of Financial Obligations. Such instruments carry moderate credit risk. In the recent downturn faced by Real Estate Sector, D.S.Kulkarni showed good resilience to come out unscathed. The issue is very small and should easily get subscribed within a week of its launch. The biggest thing going for the issue is it is SECURED and its relatively Interest Rates. The Trustee for the NCDs are GDA Trusteeship Limited who also are trustees for L&T Bonds, Shriram NCDs and hava a Asset Under Management of over Rs.1 lakh crores. The Issue is Secured with the Cover of Land placed with 1.5 times the Issue Size. 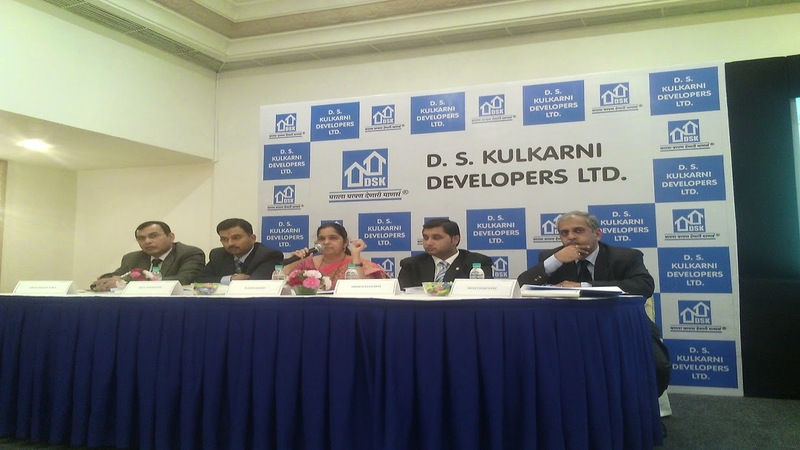 D.S.Kulkarni is the 1st Real Estate Company to come out with NCD. We have seen a deluge of NCDs from NBFCs and this certainly gives a diversification to investors who are primarily interested in Fixed Income Instruments. Go for it, but in moderation. But do keep in mind that the NCD should only form a part of your overall Debt allocation and should not cross 5% of your Debt portfolio.